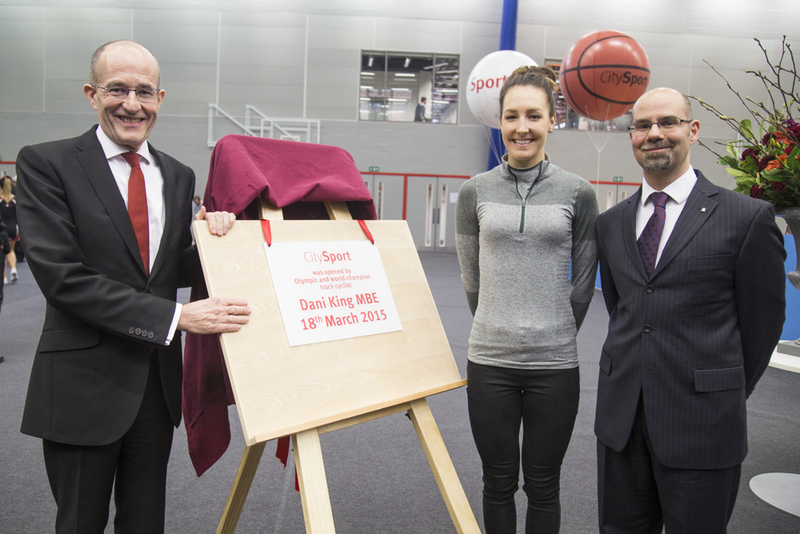 Olympic gold medal winning cyclist Dani King has given sporting advice to students at the official opening of CitySport, City University London’s brand new sports centre. Located on Goswell Road, is the largest student sports facility in central London and one of the most technologically advanced in the country. The centre was officially opened by the champion cyclist Dani King and Vice-Chancellor, Professor Sir Paul Curran who unveiled a commemorative plaque to mark the occasion. During the event, student teams also demonstrated a variety of sports including basketball, cheerleading and fencing. “Before I made it onto the senior GB team I was told I wasn’t good enough at both sprint and endurance cycling and failed twice to get onto the GB Academy. But I went out on my own, found a local coach to train with and by 2010 I had forced my way back into the GB squad for the team pursuit. "My main advice to students would be to not get disheartened by failure. I had plenty of setbacks, I’ve experienced serious injuries and I’ve probably lost more races than I’ve won. The key to sporting success is to stay passionate, never ever give up and give nothing but your best in every session that you do." 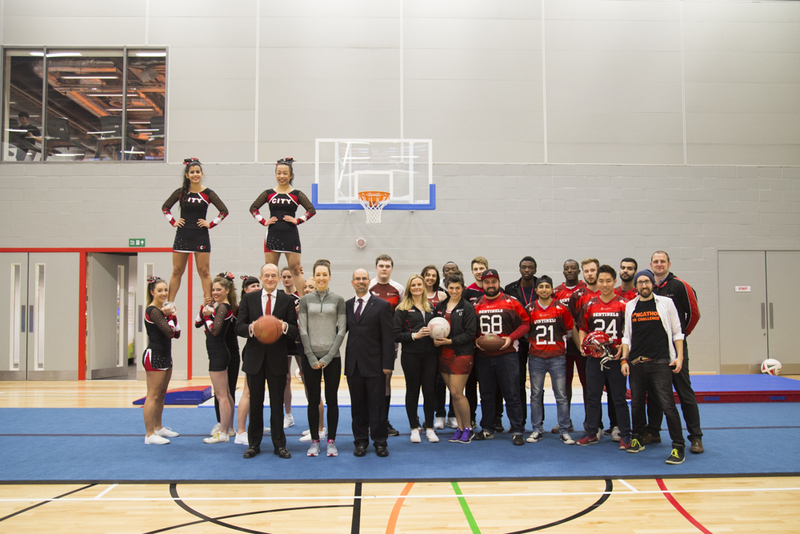 CitySport is one of the biggest student experience and community initiatives the University has invested in during recent years and aims to provide a sporting hub for both students and members of the local community. The Sports England standard hall can accommodate a range of team sports including basketball, badminton, five-a-side football, volleyball and netball and has seating for up to 400 spectators. The fitness centre has been fitted with 100 stations of the latest Matrix gym equipment complete with tablet style screens. There is also a strength and conditioning area with free-weights and resistance equipment and purpose-built studios for group exercise, martial arts, mind and body classes, spinning and team sports.